What Makes A “Perfect” Winter in Minnesota? I was talking with a gentleman whose garden Northern Gardener will be profiling in 2011. (Yes, we really work more than a year in advance!) He was excited about having a photographer come out to his place because he expected it would look really, really good this year. “We had a perfect winter for gardens,” he said. Why? Snow. 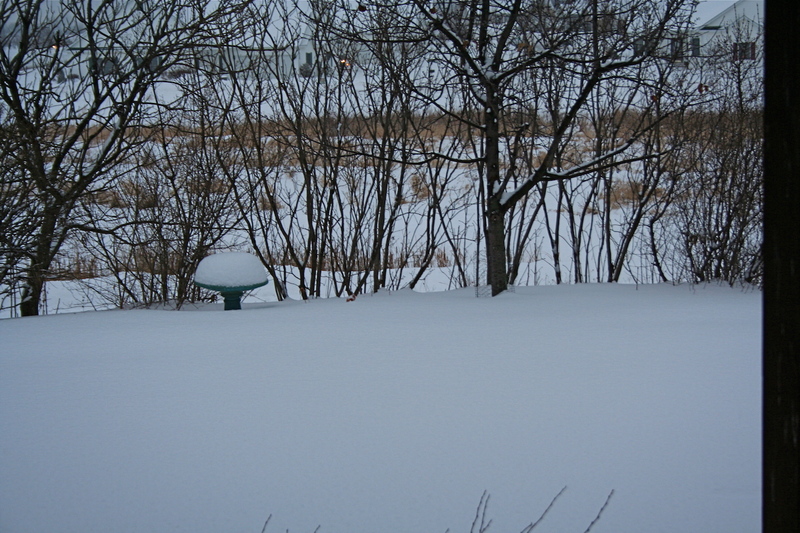 Early snow, heavy snow, and snow that did not melt. For a perfect winter, gardeners in the north need early snow and lots of it. We had some early snow in November, then around Dec. 10, Northfield and environs (including the Twin Cities) had a whopper of a storm that left another 10-plus inches. We had another big one around Feb. 8-10. According to the University of Minnesota Climatology Working Group, most of Minnesota was under between 18 inches and 2 feet of snow most of the winter. In my area, we had up to 30 inches of snow cover at one time — and believe me, as the main snow shoveler at our place this winter, it felt like a lot more. Snow is a fabulous insulator of plants. It keeps them reasonably snug, and most importantly, protects them from blistering cold winds and the freeze-and-thaw cycle. As a result, when the snow melted (rather rapidly) in March, the plants were raring to go. We did not get enough snow this year. Mind you we got way too much snow the year before, so maybe mother nature is just trying to balance things out. One things for certain, she sure has the plants confused! Snow is a great insulator! All my zone 5 herbs and a few possibly zone 6ers all came back. What a pleasant surprise. But the real kicker…when I went to pull out the leftover debris of Salvia guaranitica “Black and Blue” (zone 7), there were live green tubers under the soil. Now if they come that will be truly amazing.